New loan facility provided funds for the rehabilitation and refinancing of commercial real estate located in ARTS DISTRICT Liberty Station. SAN DIEGO, Calif. /California Newswire/ — Bank of Southern California, N.A. (OTC Pink: BCAL / OTCMKTS:BCA), a community business bank headquartered in San Diego, Calif., announced today that it has extended a loan facility to the NTC Foundation, a San Diego-based non-profit organization focused on creating a destination for arts and culture at the former Naval Training Center in San Diego. The new loan facility provided funds for the rehabilitation and refinancing of commercial real estate located in ARTS DISTRICT Liberty Station. Over a decade ago, the NTC Foundation created an unprecedented opportunity for the San Diego community by introducing ARTS DISTRICT Liberty Station. The historical district for arts, culture and creativity serves as a dynamic hub for both nonprofits and artists, showcasing the hallmarks of the San Diego region and helping fuel the local economy. “It was important for us to work with a bank that understands our goals and supports our mission to enrich the lives of San Diegans through arts and culture,” said Christopher Kiefer, Chief Financial Officer of NTC Foundation. 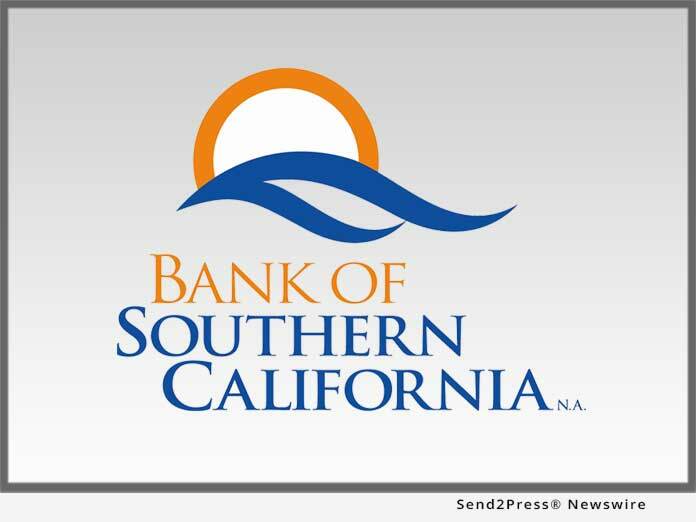 “We appreciate our relationship with Bank of Southern California. Our tenant mix of community serving and arts related non-profit organizations mixed with visual artists, museums, galleries and creative retail is different than what is found in most real estate projects. Bank of Southern California was able to quickly understand the nuances of our specific business mission and offered a banking package that exceeded the criteria set up by our Finance Committee. We greatly value their support and guidance,” added Kiefer. “Bank of Southern California has been serving the San Diego community for over 18 years and continues its strong commitment to businesses and organizations focused on contributing to the local economy, enriching our community, and preserving the city’s culture and history,” said Marie Crivello, Senior Managing Director at Bank of Southern California. “We are excited to support the NTC Foundation in their continued efforts to create a special place that was once a shuttered Naval base,” Crivello concluded. The Bank currently operates ten branches in San Diego County, Los Angeles County, the Coachella Valley in Riverside County, as well as production offices in West Los Angeles and Orange County.